COPD includes emphysema, chronic bronchitis and asthma and is often related to smoking. Common symptoms include difficulty breathing, chronic coughing, wheezing and phlegm production and over time can prove fatal. Regular exercise could help boost the survival of people who’ve left the hospital after being admitted following an exacerbation. The risk of hospital readmission and death is especially high after a person has been hospitalized for COPD. “We know that physical activity can have a positive benefit for people with COPD and these findings confirm that it may reduce the risk of dying following hospitalization,” says Dr. Marilyn Moy from Harvard Medical School. Having a difficulty to breathe often leads to a more sedentary and immobile lifestyle for patients and results in de-conditioning of multiple organ systems including the heart and muscles. It also results in a greater reliance on supplemental oxygen and medications and a general decrease in health. Improving muscle function with exercise has been demonstrated to decrease the chance of readmission to hospital. 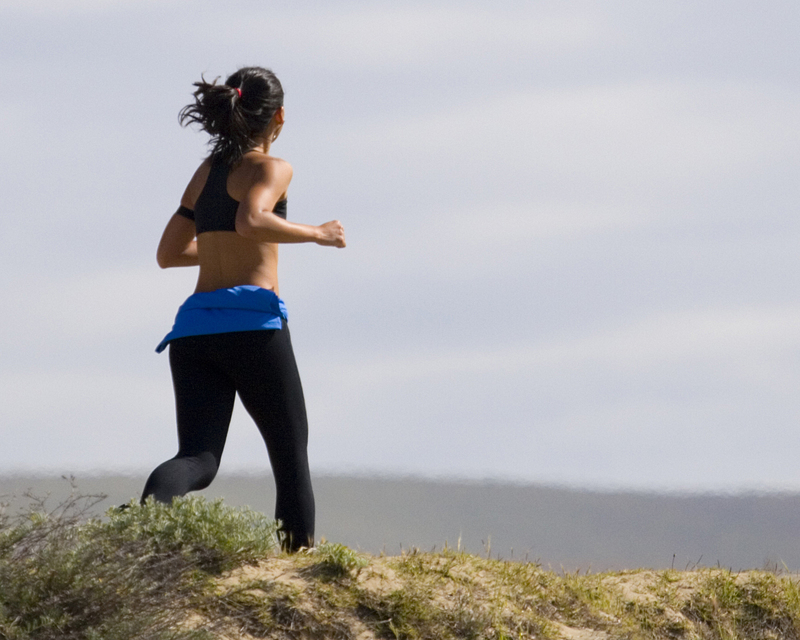 Exercise can avoid microscopic lung collapse and sedentary patients have a greater risk of developing blood clots. Researchers in a Californian study found that those who did any amount of moderate to vigorous physical activity were nearly half less likely to die in the 12 months after hospitalisation than inactive patients. Even low levels of exercise reduced the risk by over 25%. The researchers believe that tracking physical activity levels might be a good way for doctors to pinpoint those COPD patients at high risk for death after hospitalization. According to Dr Mensch, “COPD has now joined other chronic diseases, including type 2 diabetes and cardiovascular conditions, where exercise has been shown to decrease mortality and prolong life.” This is particularly important for COPD as GPs have little to offer patients to help lower disease-linked death risk. most effective in reducing cardiovascular and metabolic disease, the development of cancer, and overall mortality. Evidence shows that exercise can greatly improve the physical state and quality of life of COPD patients, reducing their breathlessness, and improving energy levels. Setting feasible exercise goals that incorporate physical activity into everyday tasks is a recommended option for COPD patients. The use of portable oxygen concentrators can help patients achieve these goals as these oxygen units allow the patients to move around with their oxygen supply whether indoors or outdoors and not be tethered to their oxygen tanks so they can move around, go for walks or exercise. Researchers suggested that, in addition to trying to perform light exercises everyday, patients should focus on the reduction of sedentary behaviour, such as trying to spend less time sitting and taking short walks. Minor walks taken after sitting for a considerable time without breaks is highly recommended as for people with severe disease simple goals like this may be a more realistic place to start that trying to go for a 30 minute walk each day. PH or Pulmonary Hypertension is a disease that causes high blood pressure in the lungs due to narrowing in the pulmonary arteries by thickening of the vessel walls. It results in the heart having to work harder to pump the blood and the organ can become enlarged and weakened leading to heart failure. It can be caused by an underlying disease such as Lupus. Lupus is a less common disease that many people haven’t heard of. It is an autoimmune disease that occurs when the immune system attacks healthy tissues resulting in inflammation, swelling, pain and cell tissue damage. There are different types of Lupus but the most severe is systemic lupus erythematosus (SLE). Symptoms range from mild to severe, and many people will have long periods with few or no symptoms before experiencing a sudden flare-up, where their symptoms are particularly severe. Even mild cases can be distressing and have a considerable impact on a person’s quality of life. Lupus is a complicated condition and common symptoms are fatigue, joint pain and swelling and rashes, however the disease can cause systemic damage and can effect organs like the kidney, heart and lungs. They are both very separate diseases and PH does not cause Lupus however Lupus can cause PH. Patients suffer from shortness of breath, fatigue and fluid retention; symptoms also seen in patients with PH. The development of lupus-associated PH is not completely understood and “it is not yet known, for example, whether lupus itself can directly cause PH, or whether lupus is simply a trigger for the development of [PH] in susceptible individuals,” the report explains. It is more common in female patients to develop lupus and PH at a younger age (15-50 years) than those that traditionally develop PH alone. PH can worsen the symptoms of Lupus and it is important to diagnose it early. Individuals should be aware of swelling in the feet, ankles, legs and abdomen, difficulty in breathing, chest pain, light-headedness and fainting. There is currently no cure for either PH or Lupus but there are treatments that can help to ease the symptoms. Medications to help with inflammation, swelling and to ease blood pressure as well as measures to deal with fluid balance and supplemental oxygen to help with breathlessness and oxygen levels in the blood. Oxygen therapy helps with both diseases simultaneously; by helping to reduce inflammation and increasing blood oxygen levels which helps in tissue repair to reducing breathlessness, easing the hypertension and decreasing blood pressure among many other benefits. If Lupus is in association with the PH then immuno-suppressive medications can sometimes be administered which help with the inflammation and irritation in the body however they can also cause damage in the blood vessels in the lungs which can be counterproductive. Lupus is still very much an unknown disease and with time and understanding of its processes there will hopefully be more effective treatments in the future that could ease Lupus symptoms as well as PH symptoms if the patient suffers with both conditions. A recent trial has shown that the use of lung coils has produced significant lung function improvements for emphysema patients. In advanced emphysema parts of the lung become hyperinflated when patients breathe in and these can press down on and impair the healthy lung tissue as well as pushing down on the diaphragm making breathing extremely difficult. Patients would normally undergo surgery and have a lung-reduction procedure, however this is risky and very invasive. The new lung coil may offer a less invasive and effective alternative treatment to reduce lung volume. The coils are shaped in a simple loop around 10-15cm in length when stretched out. They are made from Nitinol which is a metallic ‘memory’ material that returns to its intended shape even after long-term repeated stretches and compressions. They are inserted into the lungs using a bronchoscope and placed in areas with diseased lung tissue where they immediately resume their looped form. The coils grab lung tissue and pull it inwards to reduce the lung volume in these sections to allow other sections with healthy lung tissue to inflate more normally. It has been shown that a minimum of 10 coils are needed in order for there to be significant clinical benefits but 12 per lung is the current practice. Coil treatment has shown to provide significant improvements in the 6 min walking distance test and forced expiratory volume and also less dependence on supplemental oxygen. These results are from 3 months post coil insertion and the trial is still continuing for another 9 months to see if the good results continue long-term. 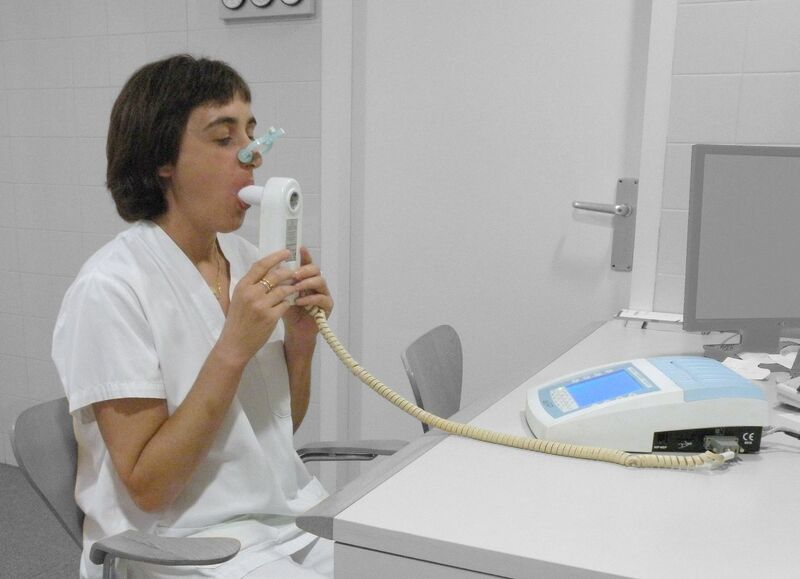 If the results continue to show an improvement in lung function and breathing ability long-term then the coil treatment will be an effective new treatment for COPD patients and other patients with diseases where damaged lung sections cause difficulty in breathing. It is far less drastic and invasive than lung reduction surgery and results show that it is more effective. The benefits of oxygen can be felt by anyone, not just those suffering from a medical condition and requiring supplemental oxygen. We can all find easy ways to increase our oxygen levels naturally through breathing exercises, general exercise, getting more fresh air and eating a balanced diet of foods that help increase oxygenation in our blood. Increasing your oxygenation levels and being fit and healthy has shown to be important for your health as optimum oxygen levels can improve wound healing, vision, mental clarity and intelligence, boost your immune system, help fight cancer cells, reduce stress levels, improve your heart and respiration and help you to lose weight. With increased oxygen levels the red blood cells can become fully saturated to provide their maximum potential of oxygen to our cells. Waste gases and toxins are removed more efficiently and cells can perform optimally. Many viruses and bacteria are anaerobic and cannot survive in oxygenated conditions. Oxygen can help build persistence to infections as it not only boosts the immune system but prevents anaerobic organisms from thriving. 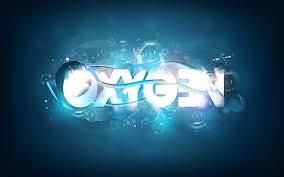 Oxygen also helps to neutralise acids such as lactate acid which builds up from high-working muscles. It improves wound healing by generating capillaries to grow into the wound to provide blood flow and oxygen to the injured cells to boost regeneration. It generally boosts all chemical pathways in our body and we can burn more fat. We feel better, our body is healthier and we think more clearly because of increased oxygenation. Oxygen is required for nearly every mechanism within our body and by ensuring your body has the optimal levels of oxygen will improve your general medical health and well-being. Too much oxygen however has a negative impact on our health which is why supplemental oxygen needs to be prescribed and regulated by a doctor to ensure that no oxidative stress occurs on the body which could lead to heart and respiration problems and necrosis. Below are some practical tips to aid in improving your health if you need to use supplemental oxygen at home. 1. Live on the first floor. If you’re moving or if you can alter your home set-up, opt for a bedroom on the first floor as taking the stairs is good exercise. 2. Buy safe shoes. Whether you’re relaxing at home or getting some exercise, comfortable, supportive, lace-up shoes are a sensible purchase. Wear a shoe that’s going to be good for balance and ensure foot and joint support. Not sandals or flip flops as these are not good for balance or grip. 3. Pick up clutter. Older people are at a greater risk of tripping over clutter due to a decreased ability to stay balanced but also you should keep walking paths clear so that oxygen cords don’t get tangled up. Besides clutter, throw rugs are a tripping hazard and should be removed. 4. Walk slowly and steadily rather than quickly or at various speeds. Pacing yourself can help retain both your energy and your stamina. 5. Do necessary tasks and harder chores at whatever time of day you feel is your best breathing time, so you may need to adjust and do certain activities at new times. 6. Rest when you NEED to rest and don’t force yourself to overdo things. 7. Buy yourself a grabbing device for picking up things from the floor and for reaching items on high shelves. Activities that require you to bend over or to raise your arms above your head will make you more short of breath. 8. Use water-based lubricants to help soothe your skin. Oxygen may dry out your skin, mouth, or throat so you can use gauze to prevent your ears or cheeks from becoming sore and water-based lubricants on your lips and nostrils to prevent dryness. 9. Wear oxygen during activities. Many people tend to take off their oxygen when they climb stairs or walk to the post box, but these are the times when your body needs oxygen the most. You can use a portable oxygen pack that you can switch to but return to the concentrator when you have finished your task. If you don’t wear the oxygen then you’ll become exhausted and put yourself at greater risk for injury. 10. Take your oxygen into the shower. Many people don’t realize that they can wear oxygen while bathing and doing so can help you avoid fatigue while you complete what could be a strenuous task and make it safer, too. You can put a fan in the bathroom as it can be difficult to be closed up in a hot, humid bathroom. Keep the door open if you can, use a fan to blow air out, and crack open any windows to help you breathe easier. You can buy a shower chair, which will allow you to sit down while you bathe, helping you to conserve energy and avoid falls. You can also install a detachable shower head, which is very helpful because you won’t have to hold your arms over your head which is a tiring position that also disturbs your balance in the shower. If it has a long, flexible arm it will make it easier to reach all of your body parts with less exertion. Why did my doctor prescribe oxygen for me? Every body needs oxygen to survive. Every tissue and cell in the body needs a constant supply of oxygen to work properly. The lungs breathe in oxygen from the air, then passes the oxygen into the bloodstream through millions of tiny air sacs called alveoli. Haemoglobin in the red blood cells then picks up the oxygen and carries it off to the body’s tissues and cells. Lung disease can cause inflammation and scarring in the alveoli. This inflammation and scarring makes it difficult for oxygen to move into the bloodstream. Therefore, the amount of oxygen in the blood drops, and the body’s tissues and cells don’t receive enough oxygen to keep functioning properly. Not enough oxygen in the bloodstream is called hypoxaemia. Many diseases affect lung capacity and breathing and if your disease has progressed to a point where breathing is becoming increasingly difficult and you’re suffering from hypoxaemia then your doctor may decide to start you with a prescription for supplemental oxygen. How did my doctor determine that I need supplemental oxygen? Oximetry — A small, clip-on device shines a light through your finger or earlobe and measures the amount of light absorbed by the haemoglobin in the red blood cells. By calculating the amount of light absorption, the device can measure the percent of haemoglobin that is carrying oxygen, this result is known as the oxygen saturation of the blood. Normally this is around 95 to 100 percent. Arterial blood gas study — Blood is drawn from an artery, usually in the wrist, using a needle and syringe. The blood is then sent through an analyser to measure the amount of oxygen gas dissolved in the blood. This result is called the arterial oxygen pressure, and is normally 80 to 100 mm Hg. Cells and tissues cannot save up a store of oxygen, they need a constant steady supply. When the oxygen saturation falls below 89 percent, or the arterial oxygen pressure falls below 60 mmHg, whether during rest, activity or sleep, then supplemental oxygen is needed. Your doctor can determine your supplemental oxygen needs by testing you while you are at rest and while walking, and can also order an overnight oximetry study to test your oxygen saturation at night. When and how often do I have to wear my oxygen? The type of equipment that you can use that will meet your lifestyle needs. Why would I need to wear oxygen while sleeping? Oxygen levels in the blood are naturally lower during sleep, due to a slightly reduced breathing rate and a reduced requirement by your body for oxygen. Also, some alveoli drop out of use during sleep. You naturally have a lower rate, however if your levels are already low as a result of your condition then they may faller dangerously lower during sleep. If your waking oxygen saturation is greater than about 94 percent on room air, it is unlikely that your saturation during sleep will fall below 88 percent. However, your doctor can order an overnight pulse oximetry test if there is a question about your oxygen levels while you are sleeping. How do I know that I’m using the right amount of supplemental oxygen? To determine this your oxygen saturation must be measured while you are using your oxygen. 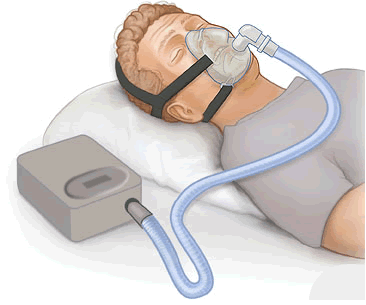 Your doctor or a respiratory therapist from the oxygen supplier should test your oxygen saturation on oxygen while you are at rest, while walking and, if indicated, while you are asleep. As long as your oxygen saturation is in the 90s, you are getting the right amount. Should I buy my own finger oximeter to test my oxygen saturations? Some people feel more comfortable testing their own oxygen saturation throughout the day or during various activities, to make sure they are at least 90 percent saturated. Finger oximeters are available on the Internet, through medical supply companies and even in sporting goods stores. They can be expensive however and have not been adequately tested for accuracy. You can speak with your doctor who can determine if a finger oximeter is necessary. How will using supplemental oxygen benefit me? A lack of oxygen to the body can result in damage to your organs, especially the brain, heart and kidneys. Wearing supplemental oxygen keeps these organs healthy. There is evidence that, for people who are hypoxaemic, supplemental oxygen improves quality of life and survival time. Supplemental oxygen can also help relieve any symptoms from your disease. It can help relieve you from shortness of breath, fatigue, dizziness and depression. You may also be more alert, sleep better and be in a generally better mood. You may be able to do more activities such as travelling and generally feeling more mobile and able to get around and take part in hobbies. Does my need for oxygen mean that I don’t have long to live? People live for years using supplemental oxygen but it will depend upon the progression of your disease and other complicating factors. How long will I need to use supplemental oxygen? That depends on the reason oxygen was prescribed. If your lung or heart condition improves, and your blood oxygen levels return to normal ranges without supplemental oxygen, then you don’t need it anymore. There is no such thing as becoming “dependent on” or “addicted to” supplemental oxygen, everybody needs a constant supply of oxygen to live. Your haemoglobin or cells wont adapt or structurally change in response to a constant higher supply of oxygen. They just use whatever oxygen is available to them. Does supplemental oxygen cause side effects? It is important to wear your oxygen as your doctor ordered it. If you start to experience headaches, confusion or increased sleepiness after you start using supplemental oxygen, you might be getting too much and need it to be altered. Oxygen settings of 4 litres per minute or above can cause dryness and bleeding of the lining of the nose. A humidifier attached to your oxygen equipment or certain ointments can help prevent or treat the dryness.